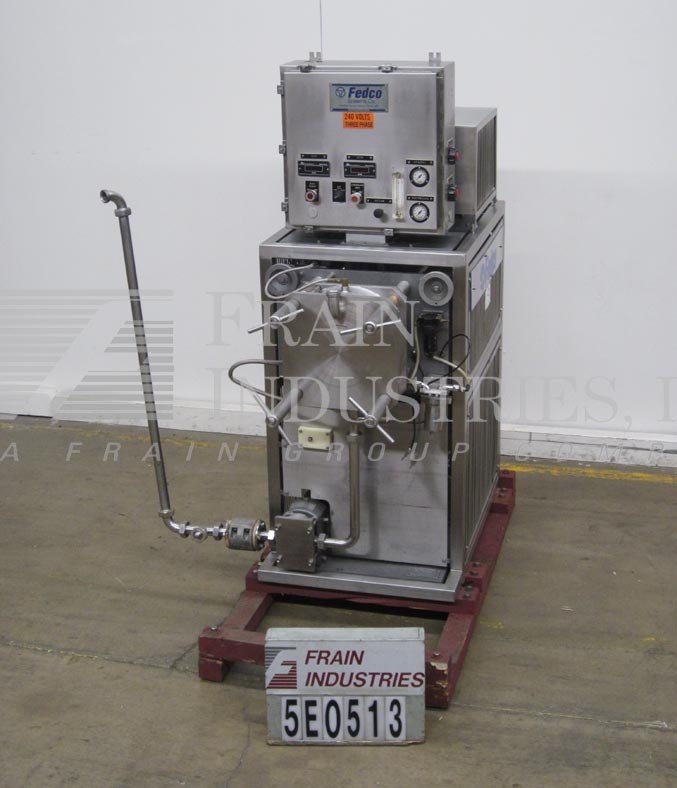 Fedco Model FM80, automatic, continuous pin mill, sanitary mixer rated from 400 to over 10,000 lbs of product per hour – depending on materials and application. Equipped with 14" diameter rotor and stator, has a swing down cover with (4) corner bolts, easy access for cleaning. Equipped with Crepaco Model R3UR positive displacement pump, rated up to 55 gpm with (2) 2" OD in/outlet ports and rubber rotors rated to 160 psi and up to 300 rpm, chiller for rotor cooling A/B 509 controller with pump. rotor, air, speed controls.